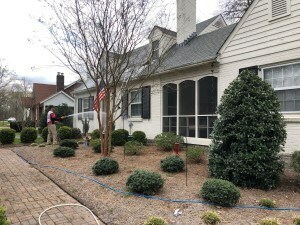 This pressure washing service project was a concrete driveway cleaning and a roof cleaning in Nashville Tn. The roof had black streaks and mildew that we treated and removed, and the concrete driveway looked as if it hadn't been cleaned in at least 5 years. 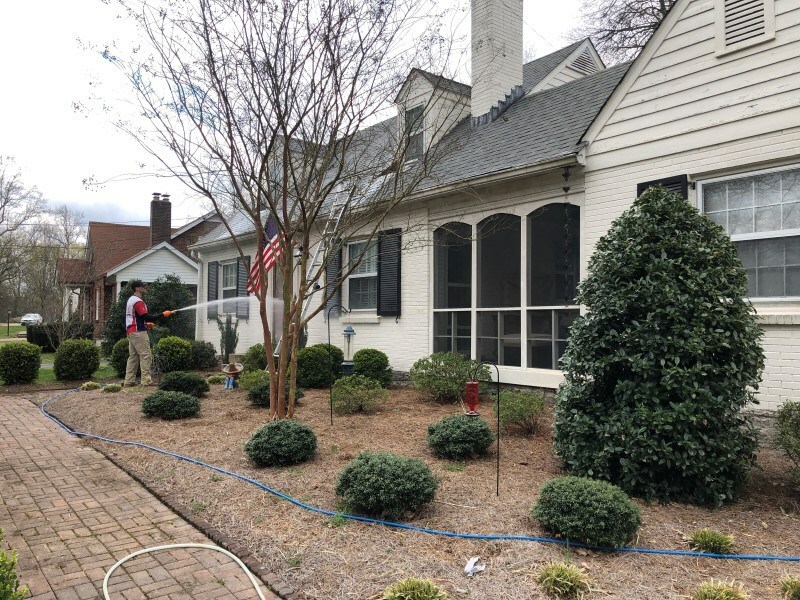 This customer opted for a post treatment on the driveway cleaning, insuring the lasting effects of our pressure washing service. A post treatment is where we spray our chemical on the surface again after we have already treated once and cleaned using a surface cleaner and hot water. This insures the algae doesn't return for at least 1 year. The rain and humidity in Nashville and our surrounding areas makes it difficult to keep concrete and exterior surfaces clean for long. If you are looking for a roof cleaning company or need to request service, then please call (615)-669-8098 complete our online request form.